Last year, we undertook an analysis of procurement transparency and procurement expenditure report publication in Local Authorities. It led to a marked improvement in the publication of this data (e.g. Dublin City Council went from 0% to full compliance). 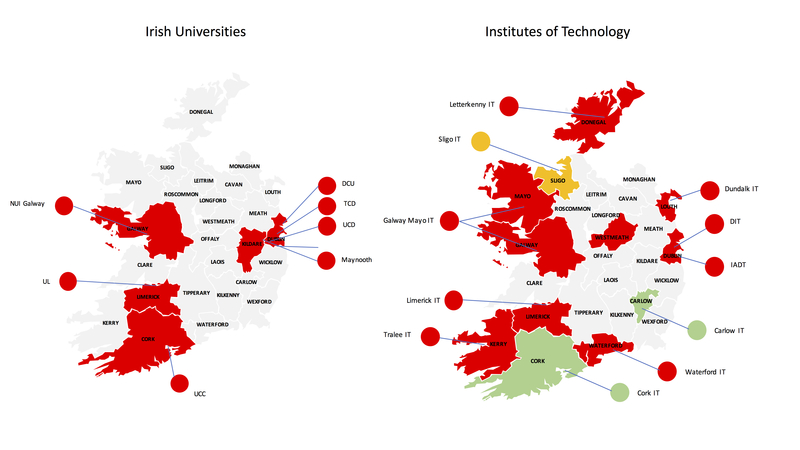 This year we have done a similar analysis of Ireland’s Universities and Institutes of Technology. We outline our findings in this article. As universities tumble down international rankings tables and call for more funding sources, how much do we know about what they already have to spend and how they spend it? This week, much gnashing of teeth was heard from the ivory towers of Ireland’s third level institutions as the QS rankings announced that Ireland’s third level institutions, Universities, in this case, had fallen down international rankings for such institutions. The call for more funding went out by many system insiders keen to point to the impact the changes to third level funding have had on them since fees were removed in the mid-1990s and block funding was cut in the aftermath of the global financial crisis. There are strong arguments to be made for and against increased central funding to institutions and for the reintroduction of student fees, perhaps on a contingent loan basis (i.e. one pays back after a certain income threshold has been attained in a post-university career). Since 2012, there has been an obligation on public institutions to publish procurement expenditure data on a routine basis across their operations. An analysis we have undertaken of the sector, following on from the analysis we did last year of local authorities last year has proven to be disappointing. There are weak levels of procurement transparency as required university expenditure reports are infrequently published. Just two institutions, Carlow IT and Cork IT have published data for in excess of 80% of the periods since the legislation on publishing expenditure data was introduced by then Minister Brendan Howlin. So far, so interesting, so what you might ask. This information IS important. The Hawthorne effect is taught on business courses across all these campuses. This theory, which in practice we have found to be true, holds that by measuring something, behaviour changes. A number of instances have highlighted corporate governance issues in the university and wider third level sector. In contravention of public policy, there is a clear lack of procurement transparency in the payments being made to suppliers across many of these campuses. In our review, we checked for this information in sections reserved on the institution’s websites for procurement, FOI publications, and financial reports. Should this data be published elsewhere and should it be brought to our attention, we will update the diagrams published in this article. We will also update the table below in line with any new information. ACME University is spending €2m per annum on cleaning services with John Doe Cleaning Services, your direct competitor – are you interested in competing for the work? A recent case in An Garda Síochana to do with payments to IT contractors was highlighted by this data contained in these exact reports on purchase orders processed over €20,000 each quarter. This data is a vital source of internal control, a measure of enforced procurement transparency and constitutes good governance practice in Ireland. 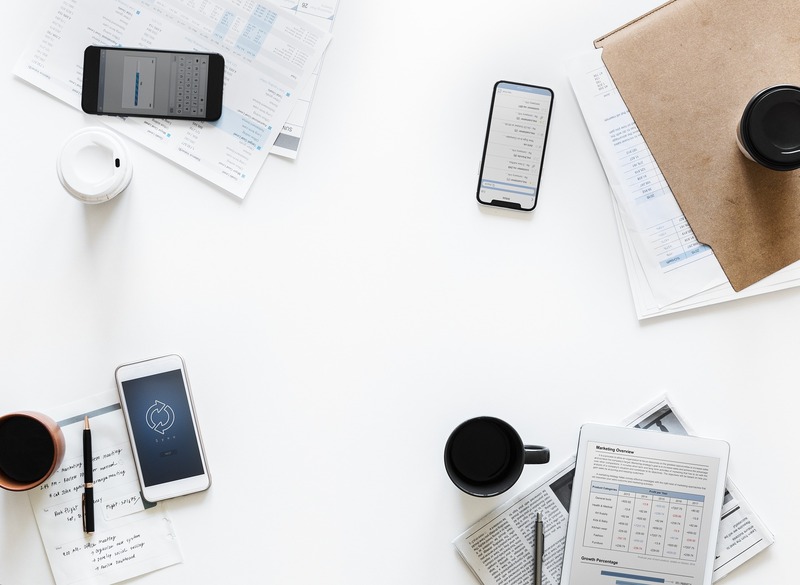 We hope to see improved rates of compliance for the publication of university expenditure and IoT spend across the sector. We also hope to see the retrospective publication of data as many local authorities have done since our review last year. Until full details are published, there is a heightened risk of non-compliance with national procurement rules (and law), a risk of insufficient competition for State services and the risk of darker practices occurring (that can thrive when corporate governance and procurement transparency standards are weak). Before any conversation starts on increased funding for the third level sector, we should be confident that these institutions are being managed with sufficient competence. How well are they spending the money they already have today? Governance in the sunshine is the best disinfectant. Those with nothing to hide have nothing to fear. Given the record of third level institutions in recent times, the onus is on them to demonstrate compliance with procurement rules so suppliers can have confidence when they go to the cost of bidding for contracts, that those contests will be transparent, fair and equitable. Note: we will update the data and charts where compliance with the publication schedule is brought to our attention. We note that the University of Limerick publishes its current list of suppliers and from our research is the sole institution that does so.